Active-duty personnel, veterans and dependents of veterans may be entitled to varying educational benefits. To be eligible, veterans must have completed at least one year of active service in the U.S. Armed Forces, unless discharged under honorable conditions for medical reasons. 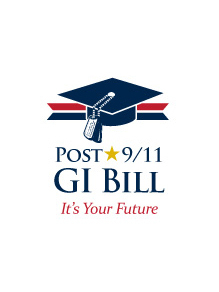 The George Washington University is proud to participate in the Yellow Ribbon Program, which is meant to supplement Post-9/11 GI Bill funds. A number of other tuition, living and book assistance programs are available as well. Please contact the Office of Military and Veteran Student Services for more information and guidance through applying for these benefits.